Rebecca West. West, Rebecca, 1953, photograph. Baron / Hulton Archive / Getty Images. 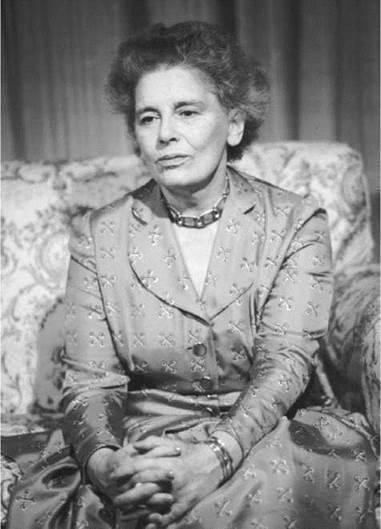 Rebecca West’s career as a writer spanned more than seventy years. She excelled in writing novels and short stories, literary theory and criticism, biography, political analysis, and persuasive rhetoric for various causes (socialist, feminist, anti-Fascist, and anti-Communist). Both her fiction and nonfiction are notable for their penetrating psychological analyses of motivation and behavior, and her nonfiction demonstrates her ability to research and to synthesize her findings on historical eras and sociological issues. An Impoverished Beginning. Rebecca West was the pseudonym of Cicely (the spelling later changed to Cicily) Isabel Fairfield, born in London in 1892. The youngest of three daughters born to Charles and Isabella Fairfield, she had a childhood filled with intellectual stimulation but marred by instability. Her father abandoned the family when West was eight, and her mother, a Scotswoman, moved the family to Edinburgh. West’s schooling was interrupted in 1907 when she feel ill with tuberculosis. In her teens, West became active in the women’s suffrage movement. In England, the push to gain women the right to vote became especially vigorous. Emmeline Pankhurst, the most famous of the British suffragists, had founded a militant political action group in 1903 that staged numerous protests to draw attention to the cause. Pankhurst was arrested more than a dozen times, and she inspired thousands of women to join her struggle. British women finally gained full voting rights in 1928. Feminist Writings: Wit, Audacity, and Savage Criticism. It was as a book reviewer and journalist that West initially established her reputation, writing for a growing number of prominent publications in Britain and the United States. She joined the staff of the Free- woman, a militantly feminist publication, as a reviewer of books known for her wittily savage criticisms. Mrs. Humphrey Ward, a formidable member of the literary establishment and a foe of the suffragists, was one of her first targets. H. G. Wells was another, but he was so intrigued by her clever audacity that he sought her out. This marked the beginning of a ten-year relationship between Wells and West—an affair that resulted in the birth of their son Anthony West in August of 1914. Support of Women’s Suffrage. Many of West’s early pieces were written in support of the women’s suffrage movement. For example, ‘‘The Life of Emily Davison’’ is an angry and moving essay on the suffragette who threw herself in front of the king’s horse at Ascot. West had the ability to write passionate controversial prose, but she was also adept at the acidic aside, a technique she employed to devastating effect in her literary reviews. Although she claimed in her essay ‘‘Mr Chesterton in Hysterics’’ that ‘‘I myself have never been able to find out what Feminism is; I only know that people call me a Feminist whenever I express sentiments that differentiate me from a doormat or a prostitute,’’ her adherence to a broadly feminist point of view is clear. Career as a Novelist. West’s first book—a study of the American writer Henry James, published in 1916—was an extended example of the same kind of literary criticism for which she was known. In it, West condemns James for portraying women only as ‘‘failed sexual beings’’ and accuses him of lacking intellectual passion. While it also shows West to be a great admirer of James, the book came in for criticism from those who regarded it as unseemly for a twenty-three-year-old woman to criticize the work of such an esteemed writer. Studies of Nazism and Treason. West married banker Henry Maxwell Andrews in 1930, and after the publication of her fifth novel, The Thinking Reed, in 1936, she wrote no more fiction for nearly twenty years. In 1937, she and her husband undertook a trip to Yugoslavia that resulted in a mammoth volume on the history of the region and the threat of Nazism, Black Lamb and Grey Falcon (1941). Yugoslavia entered World War II, when Hitler—aided by Italian, Hungarian, and Bulgarian forces—invaded, bombing Belgrade and other major cities in April of 1941. After World War II, she wrote The Meaning of Treason (1947), a book that grew out of her coverage of the Nuremberg war crime trials for the New Yorker. The Fountain Overflows (1957) is a semiautobiographical evocation of West’s Edinburgh childhood. It was the first part of an intended trilogy, the second two books of which, This Real Night and Cousin Rosamund, were published posthumously. The Birds Fall Down, which appeared in 1966, was described by West as a study of treachery and can perhaps be seen as the working out in fictional form of themes that appeared in The Meaning of Treason. West’s last book, 1900 (1982), provides a compact social history of a single year, as well as a perspective from which that year can be seen as pivotal between the nineteenth and the twentieth centuries. The book might be viewed as a nonfiction sequel to The Fountain Overflows, as if Rose had returned at the age of ninety to look back at her life in 1900. The episodic situation, the whimsical selection of anecdote, the swiftly sketched personalities, and the ranging interests of that novel all reappear, as does the vitality one identifies with the youthful narrator of that book and with the essays in The Young Rebecca, 1911-1917(1982). In 1900, the substantial text is accompanied by excellent photographs. In her last years, West remained articulate and thoughtful on public issues and figures. Two years before her death, she appeared in the film Reds, commenting upon the Russian revolution. In May 1980, when the Iranian embassy, adjacent to her home in Kensington, was under siege, she was reluctant to be evacuated. A month before her death her last article was published in Vogue, describing with sharp observation and gentlest wit the changes that age was producing in her sensory and mental processes—changes she found not only frustrating but sometimes intriguing. Her final illness was brief; she died on March 15, 1983, and was buried at Brookwood Cemetary, Woking. Charlie Chaplin (1889-1977): English actor and director who has been hailed as one of the greatest comic minds of the modern age. His iconic ''Little Tramp'' character is recognizable the world over and has influenced generations of comedians and actors since the character's screen debut in 1914. H. G. Wells (1866-1946): Along with Jules Verne, Wells is often cited as the father of modern science fiction. Like Verne, his futuristic visions have had a tremendous influence on popular culture as well as legitimate scientific thought. Mickey Spillane (1918-2006): Starting his literary career in the 1940s, Spillane churned out a series of "hard- boiled" detective novels featuring his signature hero, Mike Hammer. Haile Selassie I (1892-1975): Emperor of Ethiopia from 1930 until his death; Selassie's speeches to the League of Nations protesting Italy's invasion and use of chemical weapons in 1936 were some of the most eloquent words spoken against the brutality of modern war. Amelia Earhart (1897-1937): An early aviation pioneer, Earhart was the first woman to fly solo across the Atlantic and the first woman to receive the Distinguished Flying Cross. She disappeared somewhere over the Pacific Ocean while attempting to circumnavigate the globe. Howard Hughes (1905-1976): An aviation pioneer, Hughes went on to a career as a successful film director in Hollywood before becoming one of the world's most famous eccentric recluses. Heavily influenced by her youth in a household of fervent intellectual discussion and, later, by her relationships with many prominent writers of her day, West was one of the leading intellectual figures of the twentieth century. Though her varied and long career makes it difficult to generalize about her work, certain philosophical views do underlie and unify her writing. After World War II, one theme emerged as a key element in much of West’s work, both fiction and nonfiction: the nature of treason and betrayal. Treason and Betrayal. West wrote much on treason and related topics in various periodicals. Some of this material she collected in two books, A Train of Powder (1955) and The Vassall Affair (1963). The courtroom atmosphere of The Meaning of Treason is present again in A Train of Powder. Although it contains two essays on the development of political awareness in postwar Germany, the book focuses primarily on trials: for war crimes at Nuremberg, for a racially motivated murder in South Carolina, for a greed-inspired killing in London, and—again—for treason of various kinds. West’s ability to bring these courtroom dramas to life, to make their participants live on the page, enhanced her reputation as one of the greatest journalists of her period. The Vassall Affair, her report on a young Englishman who spied for the Soviets, can be read as an addendum to The New Meaning of Treason. The report primarily illustrates how demoralizing the discovery of these spies was to the British government’s confidence in its own integrity and its ability to function in the country’s best interests. A final example of West’s interest in treason’s many faces is her novel The Birds Fall Down (1966). Instead of using an example from the gallery of traitors she had observed in the British courtrooms, she drew upon the story of a double agent from tsarist Russia, Ievno Azeff, who was both an informant for the secret police and a leader of a terrorist band. The novel West creates out of this double betrayal concludes with the deaths of both the traitor and a friend he betrayed. Told through the consciousness of a young girl, the story is as much about how her innocent involvement in events affects her as it is about the entanglement of loyalties and betrayals among the adults. The Judge. While she was writing The Judge (1922), West entered a period of personal loss that may have negatively impacted her creative process. H. G. Wells insisted in an angry letter that he must be honest about how much she had failed in this novel, saying that The Judge was ‘‘an ill conceived sprawl of a book with a faked hero and a faked climax, an aimless waste of [her] powers.’’ Fortunately for West, none of the published evaluations were as negative. Most of those in the prominent publications praised her writing, but they ended with reservations about the aesthetic value of the work. Its length, its slow pace, and the lack of unity between its two large sections clearly damaged the novel in the minds of the critics. The Feminine Mystique (1963), a book by Betty Friedan. Often cited as having launched the modern women's movement, Friedan's book condemned the widely held belief that women's lives existed solely to cook, clean, and raise children. A Room of One's Own (1929), an extended essay by Virginia Woolf. Based on a series of lectures, this work examines women's capabilities as authors and the obstacles they face. 1. Review modern definitions of feminism. Do Rebecca West’s writings reflect any contemporary views? How do her views differ? 2. In West’s travelogue of Yugoslavia, Black Lamb and Grey Falcon, how does she portray the native populations? Does she take sides between the Serbs and Croats? 3. What do you think West meant when she said ‘‘I only know that people call me a Feminist whenever I express sentiments that differentiate me from a doormat or a prostitute’’? 4. Do you agree with West’s assertion in The New Meaning of Treason that there are secrets of science—such as nuclear weapons—that should not be shared with enemy nations? Why or why not? Deakin, Motley F. Rebecca West. London: Twayne, 1980. Dickinson, Lovat. H. G. Wells: His Turbulent Life and Times. New York: Atheneum, 1969. Hammond, J. R. H. G. Wells and Rebecca West. New York: St. Martin’s, 1991. Marcus, Jane. The Young Rebecca. New York: Viking, 1982. Packer, Jean Garrett. Rebecca West: An Annotated Bibliography. New York: Garland, 1991. Redd, Tony. Rebecca West: Master of Reality. Columbia: University of South Carolina Press, 1972. Wolfe, Peter. Rebecca West: Artist and Thinker. Carbondale: Southern Illinois University Press, 1971.